People are starting to rely on reviews more and more, It’s all good and well hearing from a company that their product is the best in the world, but only a person with an unbiased opinion can tell me what I really need to know, is it? And will I be glad I’ve spent my hard earned cash on it? If you own a business and don’t currently use a review site, maybe it’s time to think about joining one. You might be worried that a bad review will taint your company and put people off ever purchasing, but let me tell you why being on there is better than not. It’s true, people will be looking for reviews about your business and if they can’t find any they’ll be wondering why. Is the company fake? Are they not on a review site because they’re worried all the feedback would be negative? Does nobody have anything to say about them? All these things will be running through a potential buyer’s mind, and therefore even though they won’t be seeing anything negative about you, they won’t be seeing anything positive either. Someone might have come across your website and been really impressed by everything you have to offer, however, before they commit and make a purchase they notice you don’t have any reviews. If they happen to come across one of your competitors with 4.5* on tripadvisor and see hundreds of comments about how amazing the business is, chances are they’ll go for this one instead. Don’t let anyone else win your potential customers. So, you join a review site and everything is going swimmingly, until a bad review comes in. This honestly isn’t the end of the world and you can use it to help improve your business. If someone says a certain part of the product broke then you might want to look into this in more detail, was it a one off or is this a common problem? 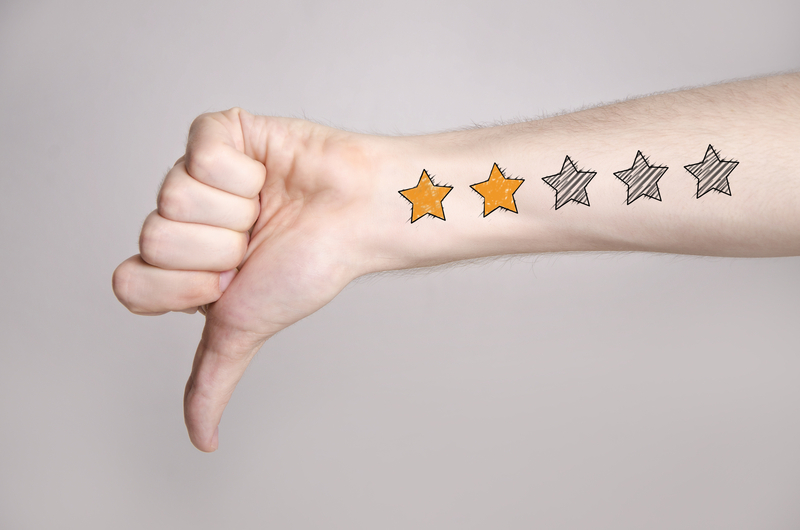 Just because a customer leaves a bad review, doesn’t mean they have been put off your business forever. You should make it your priority to leave a kind, understanding and apologetic reply, by showing you care you might win them back over. Also, if someone else sees that you comment back to each person who has taken the time to write about your business, you will be presented in a positive and caring way. If you do get any bad reviews make sure you don’t lose your cool. As a business owner it can be really difficult to see people criticising your business, and it’s easy to take it personally. However, this can have devastating consequences for your business if you make your feelings known. Don’t come across as angry and threatening because it will put that customer and many other potential customers off for good. Even though you should be prompt when replying to comments, make sure you leave it a while so you can fully digest the feedback. This way your answer will be much more considered and it won’t be something that you later regret. Check out Capify’s reviews on TrustPilot.